Every large organization needs backup power sources, but some locations make that requirement more difficult to achieve than others. 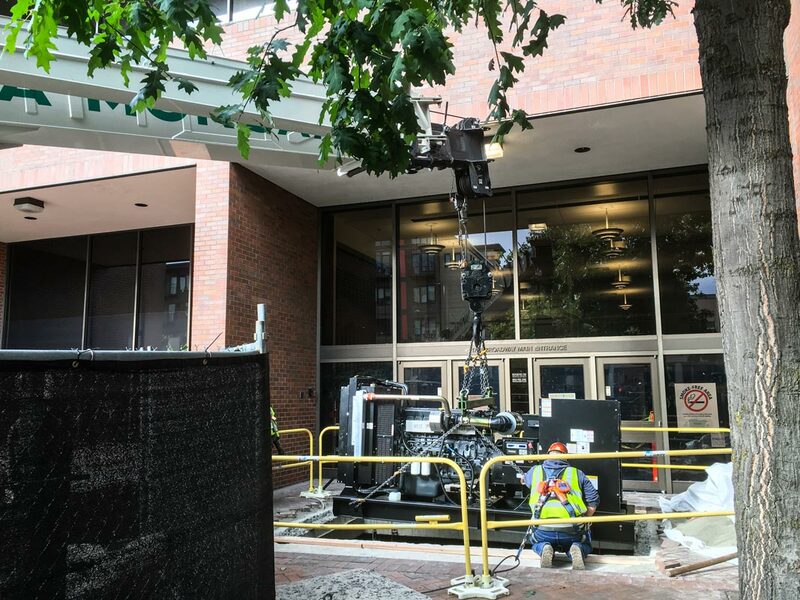 When Seattle Central College and its construction engineering company McKinstry Co, LLC needed to replace a CAT generator in downtown Seattle, Omega Morgan’s machinery moving services proved to be the perfect solution. The college is located in one of the busiest neighborhoods in Seattle, with plenty of pedestrian traffic to account for. Making matters more complicated, the generator to be moved and replaced was located in a basement. Only close cooperation with McKinstry and our accumulated expertise in moving machinery could solve this complex challenge. We knew that we had to start early in obtaining just the right permits to block off public roadways and lift up sidewalk panels. We also knew that an experienced rigging crew was needed to navigate in the defined space and get the new generator in place exactly as required. That knowledge, and our methodical approach to these challenges that followed, proved invaluable throughout the process. The pedestrians walking by had something to look at as our crew set to work. After moving the old 10,000 pound generator out of the basement through the hole in the street, we prepared to move the new, 21,477 pound machinery into the same space. Because of its size, that objective required disassembly and careful ‘floating’ of each part at a specific angle to avoid damage to the generator and its surroundings. Thanks to special rigging and an experienced crew, we accomplished the job on time, fulfilling and surpassing customer expectations in the process. It just another example of how Omega Morgan is #doingtheimpossibledaily, taking on even the most challenging projects with the poise and expertise that can only come from our experience in moving machinery and heavy equipment. 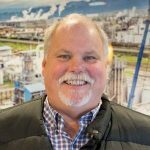 30+ years experience in the crane & rigging industry with a focus on machinery moving, equipment installations, specialty rigging and facility relocation's both domestically and internationally.